The journey was not an easy one. He absorbed some of the harshest and most unfair blows life can land. His mother died when he was two, and after his father remarried he was exiled from his stepmotherâ€™s home. Growing up in Depression-era, rural Missouri and educated in a one-room schoolhouse, he knew poverty, deprivation, anxiety, self-doubt, and depression. 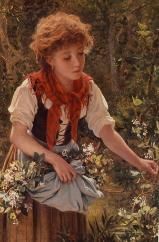 Though the pews he sat in during his early years were not offering much by way of love and mercy, Dallas, instead of turning away, kept looking for the company of a living, present, and personal God. In Gary W. Moonâ€™s candid and inspiring biography, we read how Willard became the person who mentored and partnered with his young pastor, Richard Foster, to inspire some of the most influential books on spirituality of the last generation. We see how his love of learning took him on to Baylor, the University of Wisconsin, and the University of Southern California, where he became a beloved professor and one of the most versatile members of the philosophy department. 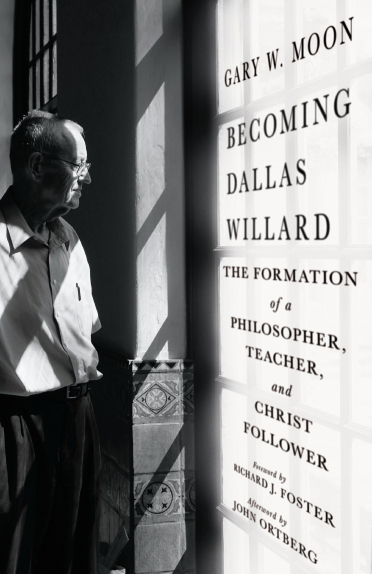 The life of Dallas Willard deserves attention because he became a person who himself experienced authentic transformation of life and character. Dallas Willard not only taught about spiritual disciplines, he became a different person because of them. He became a grounded person, a spiritually alive person as he put them into practice, finding God, as he often said, “at the end of his rope.” Here is a life that gives us all hope. In all honesty I had trouble getting into this book at first.Â I think that is mostly my fault.Â It seems that I can’t remember that there is a significant difference between a biography and a memoir.Â I like biographies, but I love memoirs and almost every time I start a biography I find myself vaguely disappointed until I reconcile myself to the genre. However, once the author moved past the basic facts about Willard’s family and childhood and started to really speak about the Dallas’ development of thought and character I sincerely enjoyed the book.Â And while I appreciated knowing the childhood facts and understanding how they played a part in the formation of the man, it was the spiritual formation, the heart of “becoming” that really made this book one I’m glad that I read. In one sense I’m of just an age that the concepts that seemed so radical to Dallas Willard (and Richard Foster as mentioned in the book) are concepts that I took for granted in my own spiritual formation.Â So in reading this biography it was enlightening to see how these ideas came to be introduced to the modern evangelical world through Willard’s teaching and writing.Â Growing up as I did, comfortable in a number of different denominations, also made me deeply appreciative of how Willard sought to learn from the different expressions of faith. While some of the context in the book, specifically the philosophical context, felt a bit over my head and not particularly engaging I did develop a deeper appreciation for the intellectual depth of thought that informed Willard’s writing.Â This also led to a deeper appreciation of his work as his books, while deep and thoughtful, have never seemed “over my head” in intellect. All in all, I would recommend “Becoming Dallas Willard.”Â I would especially recommend it for those who aren’t as familiar with Willard’s books and teaching as it gives a very helpful overview of the contribution that Dallas made to the realm of understanding spiritual formation as well as giving a wise and thoughtful look at how modern culture perceives reality and how the reality of the Kingdom can be so easily overlooked or misunderstood. Most of all I loved seeing how Dallas grew in his real and present interaction with the King and his Kingdom and hope that many others will find the sweetness of that reality as they reflect on how we become the men and women in Christ that we are meant to become.